It was news to us that Disney has an adult lifestyle brand called Walt Disney Signature but apparently in 2007 they commissioned designer Cory Grosser to reinterpret their famous airline chair from 1934. As part of the interior design of their animation studios, their animator's chairs were developed for comfort and optimum production and today they are one of the most sought after Art Moderne pieces ever designed. 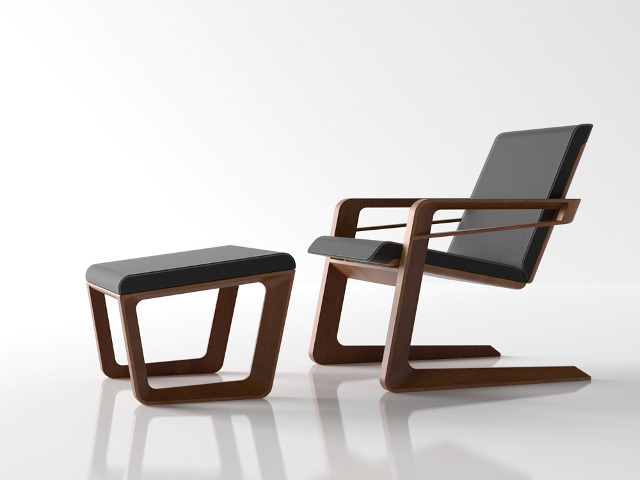 The look of the new chair is crisp and contemporary while unmistakably an homage to the original design.